What did Einstein, JFK, Edison, Marie Curie, and Henry Ford have in common? They were all inveterate doodlers. These powerhouse minds knew instinctively that doodling is deep thinking in disguise-a simple, accessible, and dynamite tool for innovating and solving even the stickiest problems. Sunni Brown's mission is to bring the power of the Doodle to the rest of us. She leads the Revolution defying all those parents, teachers, and bosses who say Stop doodling! Get serious! Grow up! 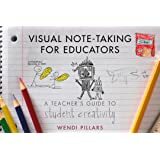 She overturns misinformation about doodling, demystifies visual thinking, and shows us the power of applying our innate visual literacy. 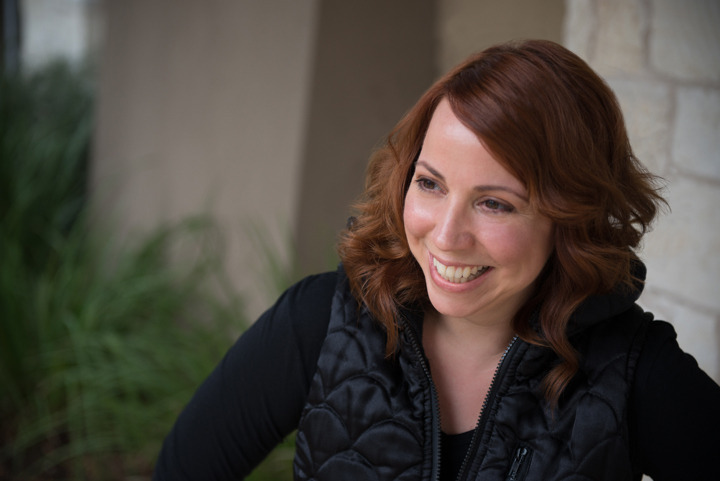 She'll teach you how to doodle any object, concept, or system imaginable, shift habitual thinking patterns, and transform boring text into displays that can engage any audience. Sunni Brown was named one of the 100 Most Creative People in Business and one of the 10 Most Creative People on Twitter by Fast Company. She is a consultant, an international speaker, the coauthor of Gamestorming, and the leader of a global campaign for visual literacy. 4.0 out of 5 starsBest for "why" not "how." I am a died-in-the-wool doodler - have been all my professional career. I prefer mind-maps to outlines and word-art to text notes. Not substantially a "how-to" book, it does provide a great springboard to other doodle guidance materials. I recommend "The Doodle Revolution" if you want to understand "why" visual communication is increasingly important in a multi-media world. I recommend it if you need solid reasons to convince yourself to join the revolution. But there are better sources for learning "how" to doodle. 3.0 out of 5 starsLeft Brain People, this is a Doodle Book for you! Right Brain People, Meh. This book is more about the history & why of Doodling. Less of a guide to Doodling, which I was expecting. I was hoping the book would be less paragraphs of text, and more bullet point style "how to tips". After buying the book and then comparing it more closely to the description, the book's content is as described. The presentation of the book clearly shows that Brown knows how to organize information in an entertaining, friendly way. 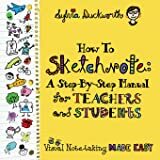 She uses a lot of "infographics" so that the reader wouldn't have to trudge along reading huge blocks of texts and the doodle examples in her book are simple enough to encourage one that he/she can doodle herself. The first part of the book is about the importance of doodling and its communicative power in the workplace or any creative venture. The second half is basically a crash course in drawing, going over tools such as shapes, lines, shading, etc. I didn't really need the latter half because I've been drawing and illustrating for a while, but I did like the rationale for a visual basis of communication in the beginning of the book. I'd recommend this book to people who generally don't draw or think that drawing can be productive in any manner. This book doesn't just show how you can leverage your doodles. It also explains why they matter and how to use them. If you are a closet doodler, Sunni Brown gives compelling evidence on why you should start thinking on paper more often, and bring those doodles out into the open to help yourself think on paper and communicate more clearly as you develop your visual language. After seeing Sunni Brown's TED talk, I knew I had to have this book. It takes practice to be the doodler she is AND it is helpful to learn all this to help others feel more comfortable doodling during training. Sunni rocks! I saw Ms. Brown at BookPeople in Austin doing a live demo of this Doodle Revolution and was hooked! It was effective with both children and adults and gets the mind racing in positive, directed directions. As a long time doodler, it helped to put into words what I've always known - and I've given it or recommended it to many people since that day - and love how people have reacted so positively to the ideas that it presents. As a teacher, I really valued examples of how doodling assisted learners in understanding complicated issues. Anecdotal stories, examples of how to integrate into content introduction an and first-person examples make this a great teacher resource. I am hopeful that I can use this book to improve my learning and teaching! Very inspiring book to read with hands on exercises. Make sure you have your pencils sharpened you wonna practce right away.